I was puzzled by an article that recently came across my desk. Published by Pulse Nigeria, journalist Onnaedo Okafor provided readers with a list of “7 ancient temples around the world every culture enthusiast should visit.” The list included four Buddhist temples, one Sikh temple, and one Baha’i temple, most of them familiar as well-known tourist attractions. For example, the Buddhist Wat Benchamabophit in Bangkok is described as “a major tourist attraction.” The Baha’i Lotus Temple in New Deli has welcomed “more than 70 million visitors, making it one of the most visited edifices in the world.” Regarding the Sikh Golden Temple in Amritsar, India, “Tens of thousands of pilgrims and visitors flock to the temple every day, even more on weekends.” It is the same with the other three Buddhist temples on the list: The Buddhist Wat Rong Khun, or White Temple, in Thailand; the Kotoku-In Temple in Kamakura, Japan; and the Byodo-In Temple on the Hawaiian island of O’ahu. These six temples are famous and easily recognized. In their architecture, each possesses a sizeable “wow” factor, and each welcomes visitors from all over the world to enjoy their beauty, inside and out. I can see why they would be on Ms. Okafor’s list of must-see temples. But she had one more temple on her list, and this is what puzzled me. Nestled in amongst these famous, ornate temples, number six on Ms. Okafor’s list was the Mormon Temple in Nauvoo, Illinois. If any of Ms. Okafor’s readers choose to visit the Nauvoo Temple they will surely be disappointed as it is almost certain they will not be allowed to go inside. All of the other temples on the “should visit” list beckon visitors to enter; not so the Nauvoo Temple. Only Mormons in good standing who have been approved by their ecclesiastical leaders (i.e., those who carry an active temple recommend) may go in. Additionally, any “culture enthusiast” who might be interested in the ceremonies performed within the Nauvoo Temple will likewise be disappointed since these religious rites are considered to be too sacred for non-Mormons (or non-worthy Mormons) to either witness or explore. These ceremonies may not be discussed outside of the temple itself. So I don’t know why Ms. Okafor included the Nauvoo Temple in her list (I emailed her that question, but she never responded; if she does in the future, I will post an update addendum here). It really doesn’t fit in her list of “7 ancient temples around the world every culture enthusiast should visit.” Yet Nauvoo is a pretty little town, situated on a picturesque bend of the Mississippi River. If tourists do visit, I have a recommendation of my own. Stop by the Nauvoo Christian Visitors Center on the town’s main street. Though the Mormons won’t talk about the specifics of the religious ceremonies that are enacted within the Nauvoo Temple walls (e.g., the endowment ceremony), the folks at the Christian Visitors Center will. 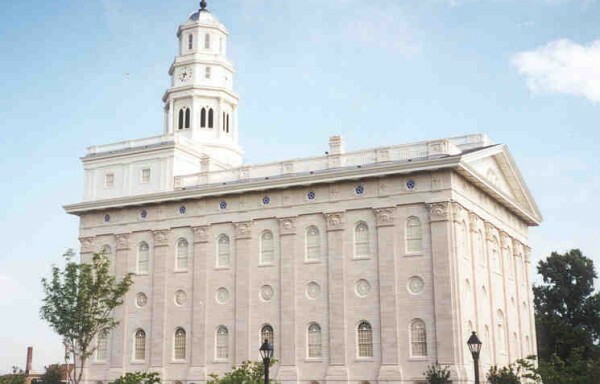 They won’t hesitate to openly and honestly answer any questions a cultural enthusiast might have about Nauvoo or The Church of Jesus Christ of Latter-day Saints and how it differs from Christianity. In fact, a stop at NCVC would make any otherwise disappointing tourist visit to the Nauvoo Temple very worthwhile.